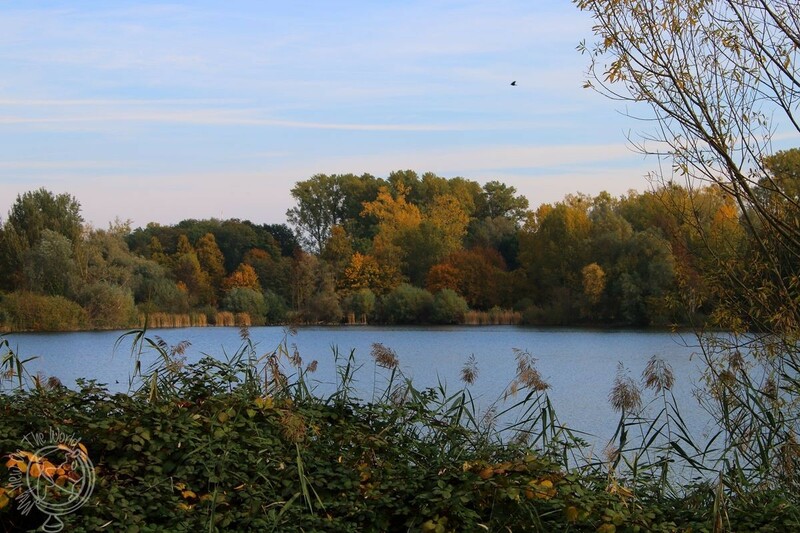 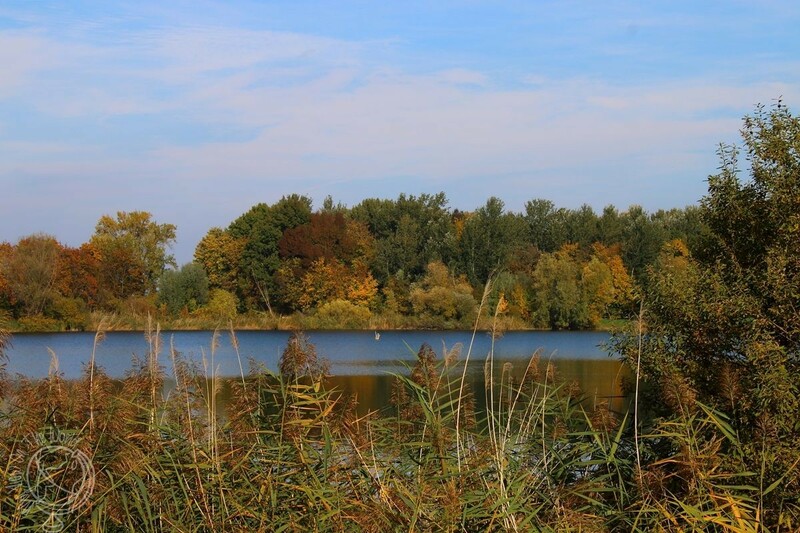 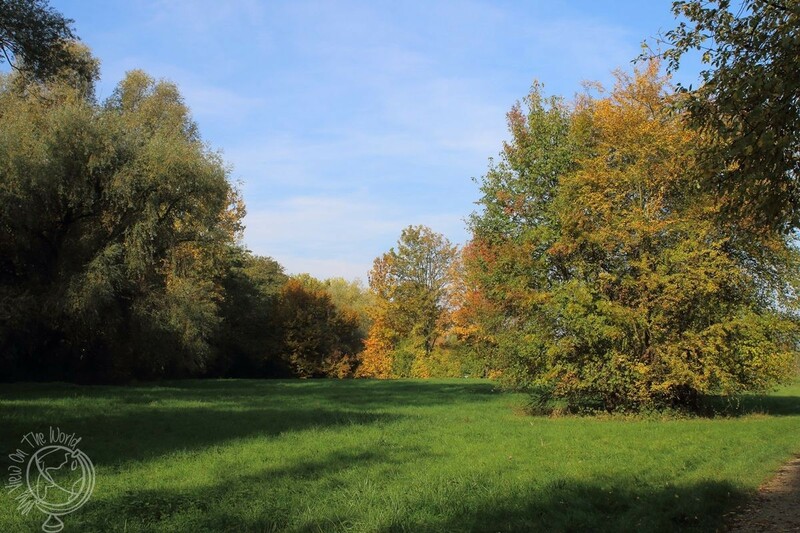 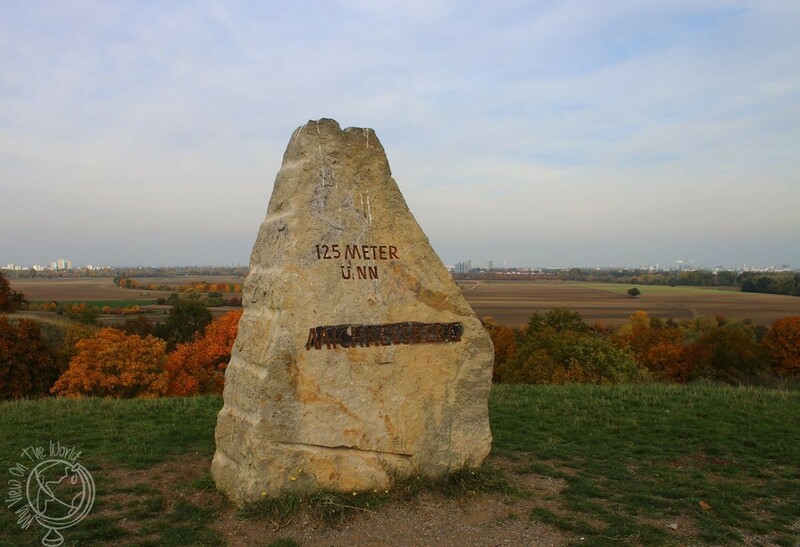 With the weather so gray for the last days I to take advantage of the few sunny hours we had today and go for a walk around Maudacher Bruch. 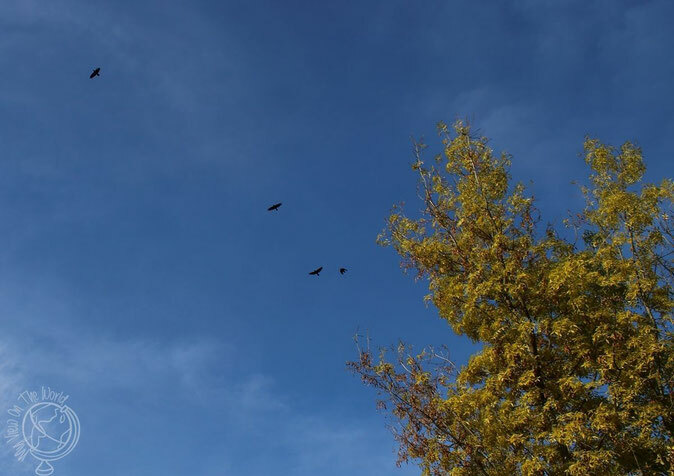 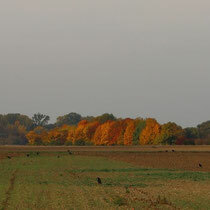 A murder of crows moving between the fields. 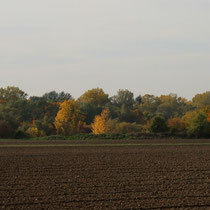 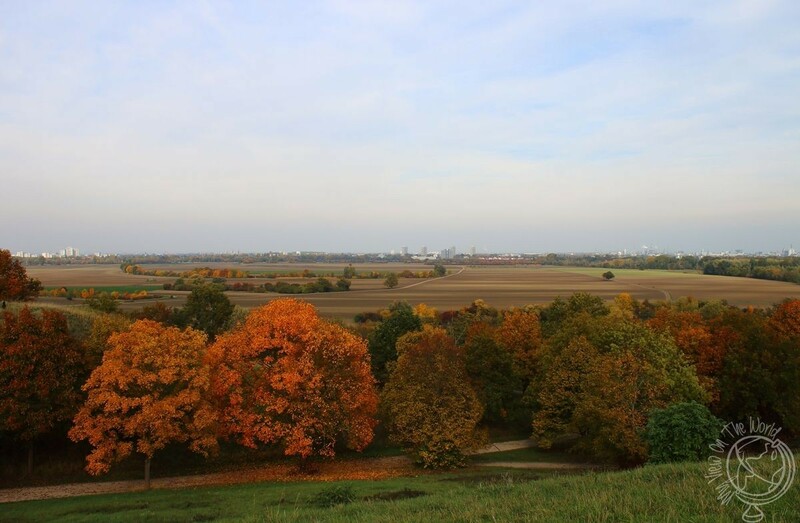 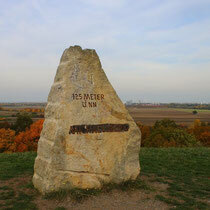 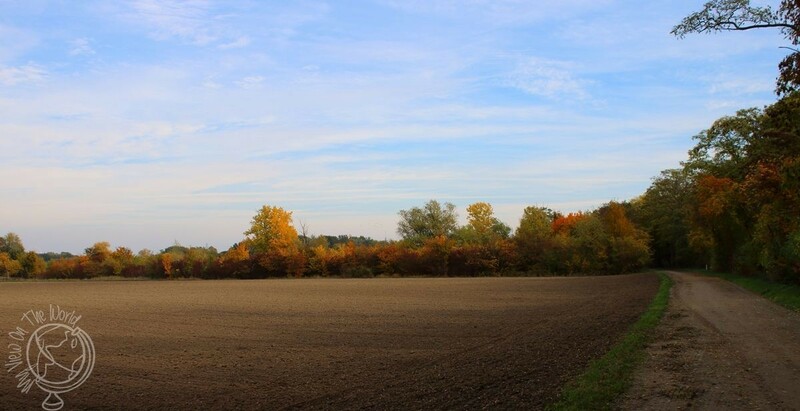 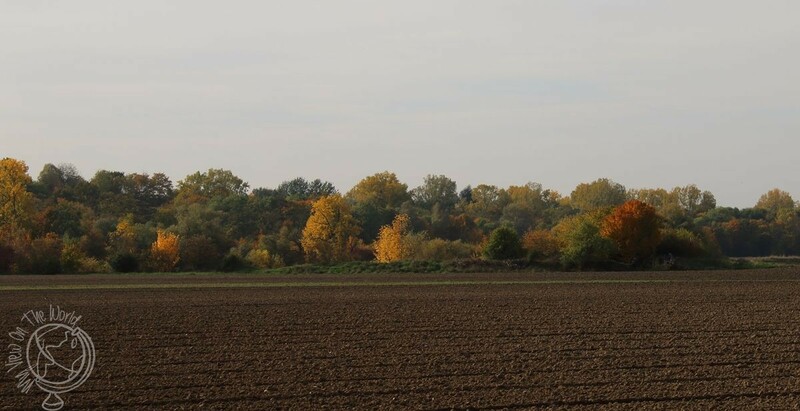 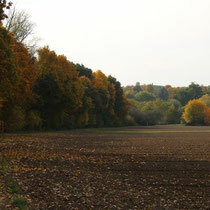 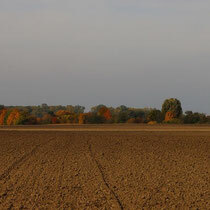 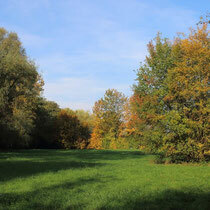 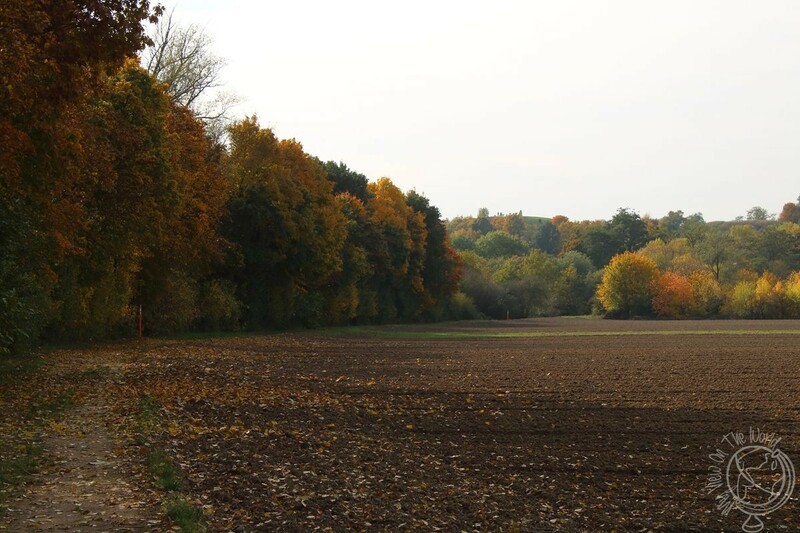 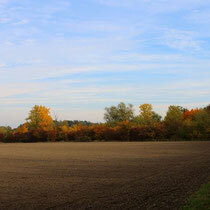 The fields and forest around the Bruch. 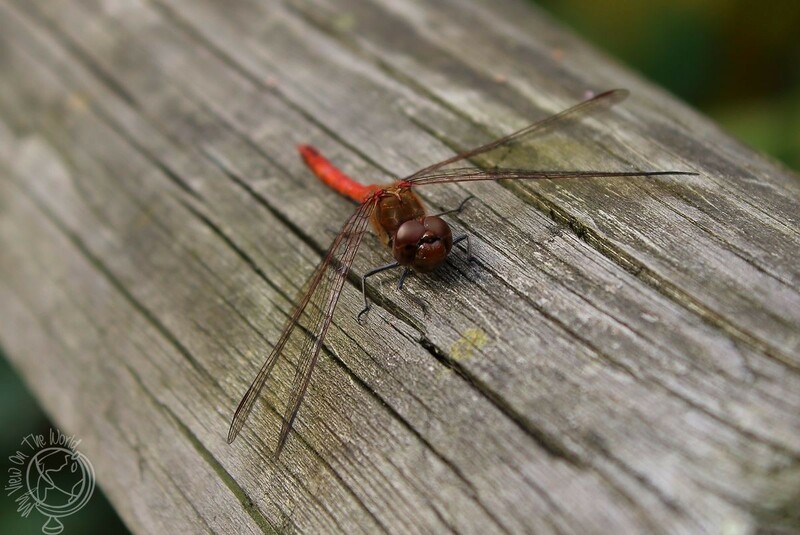 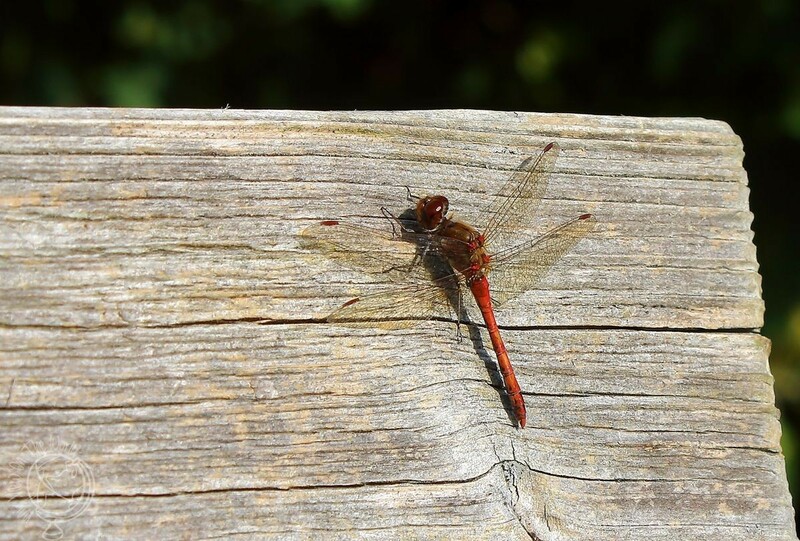 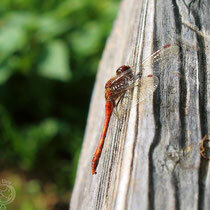 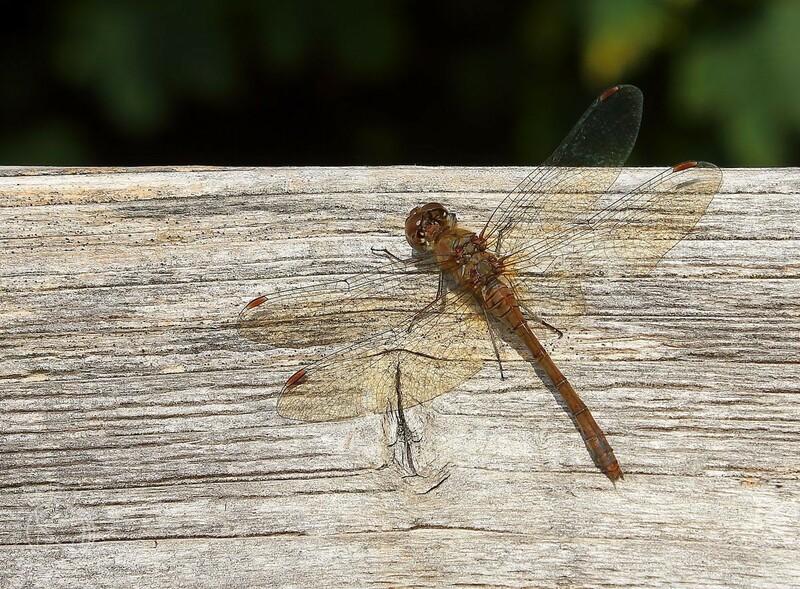 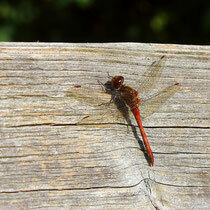 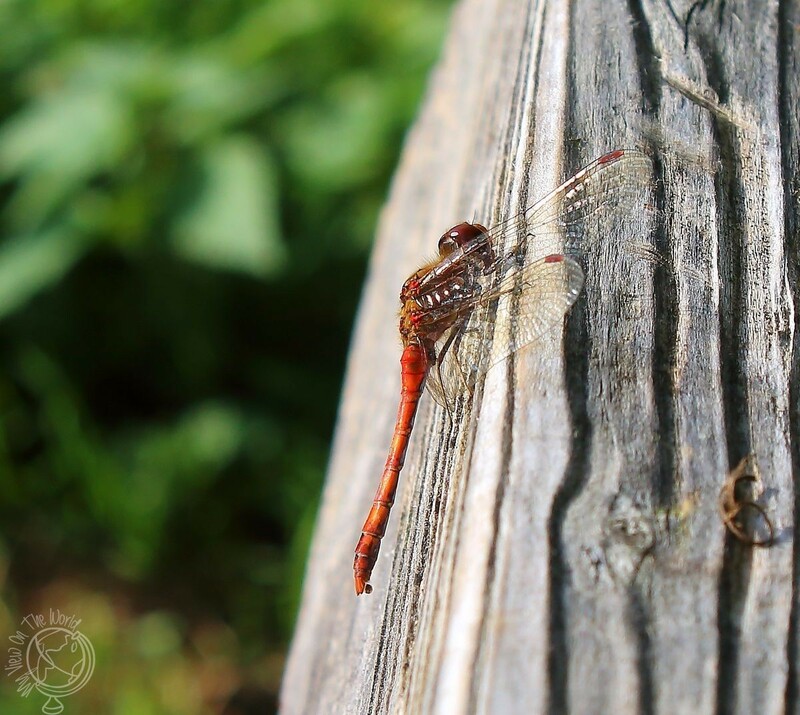 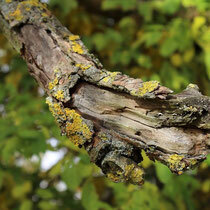 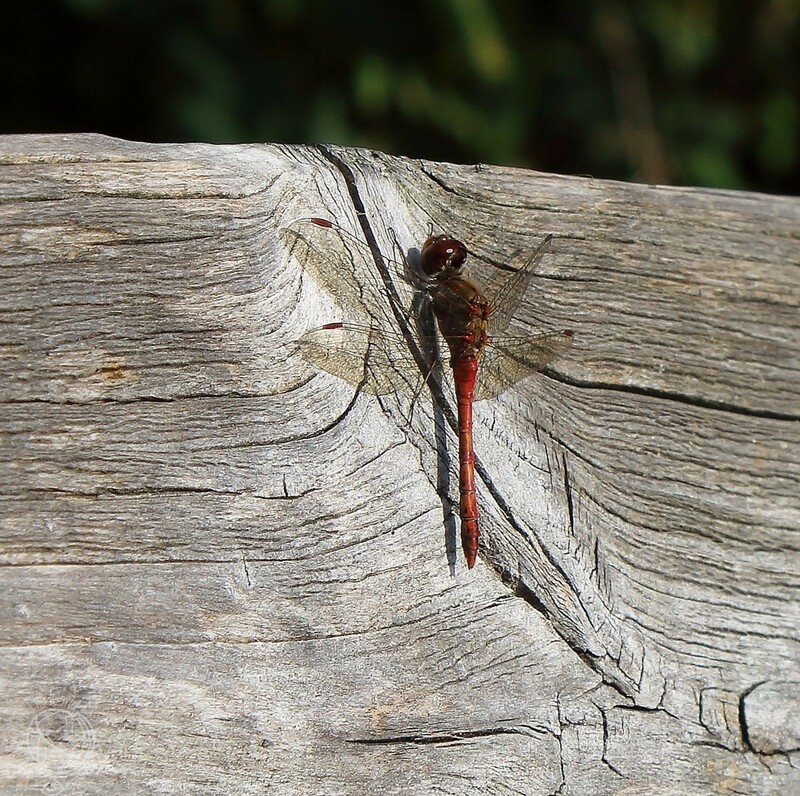 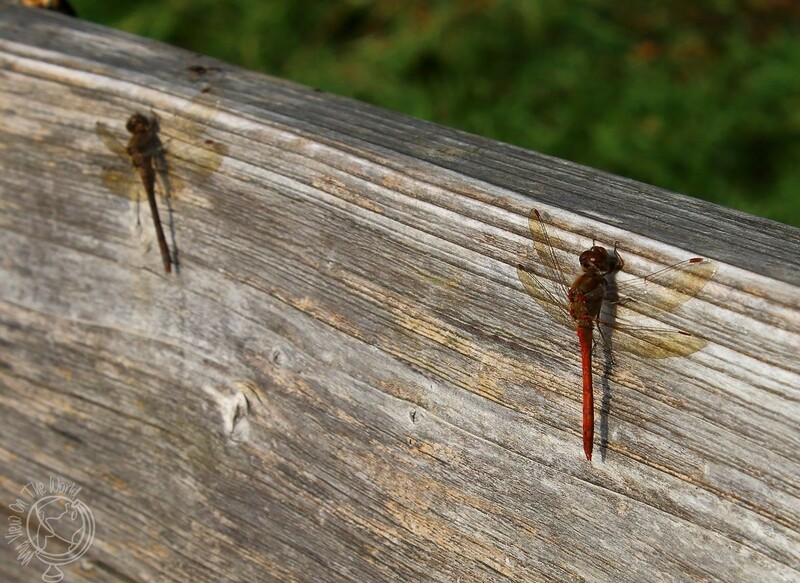 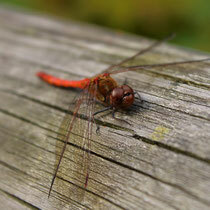 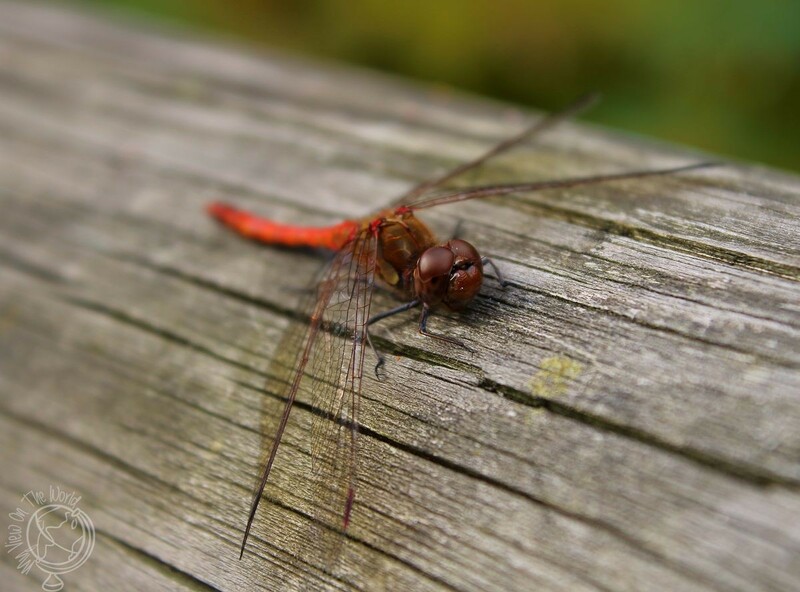 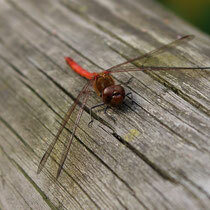 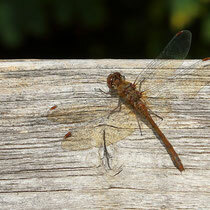 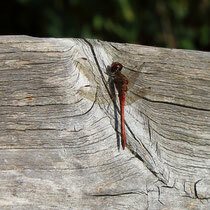 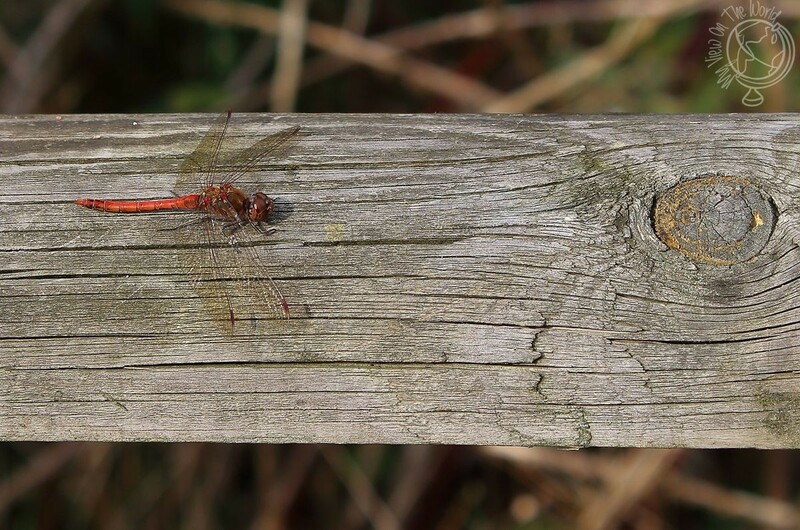 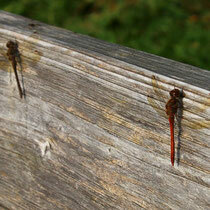 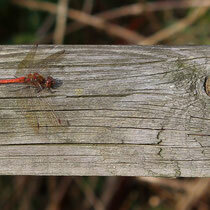 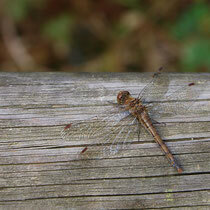 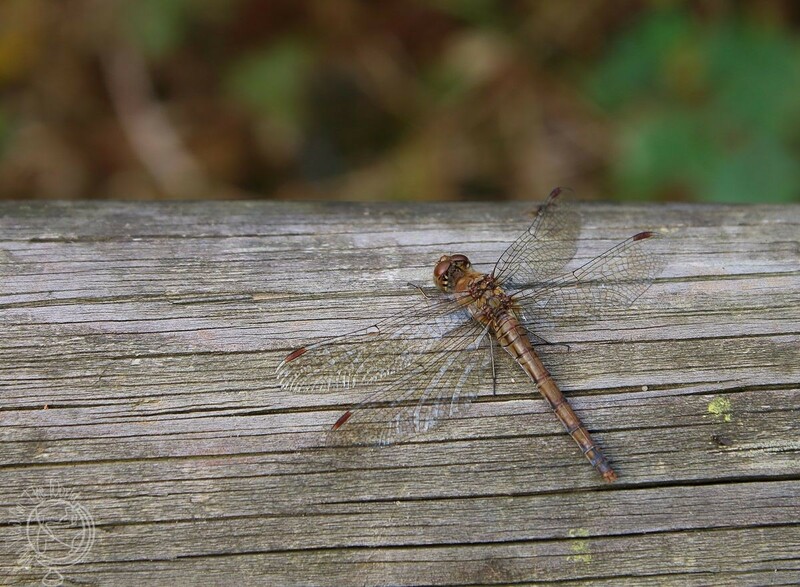 On the warm wood of the benches dragonflies were gathering. 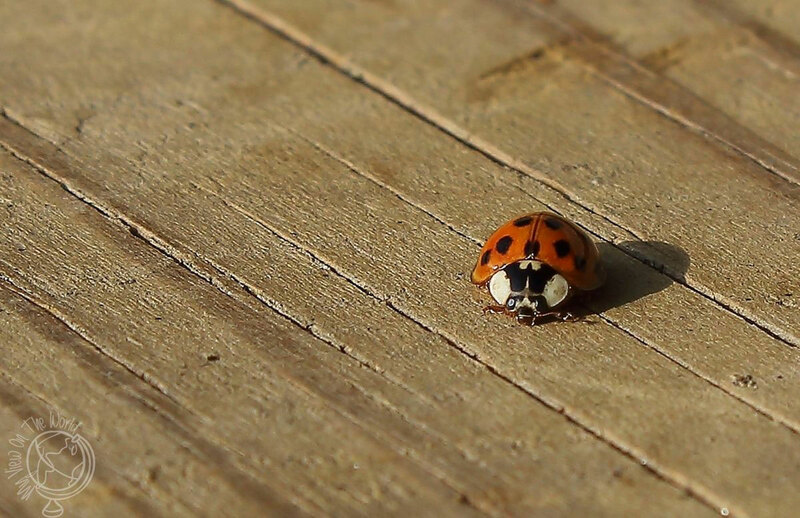 And a lonely lady bug. 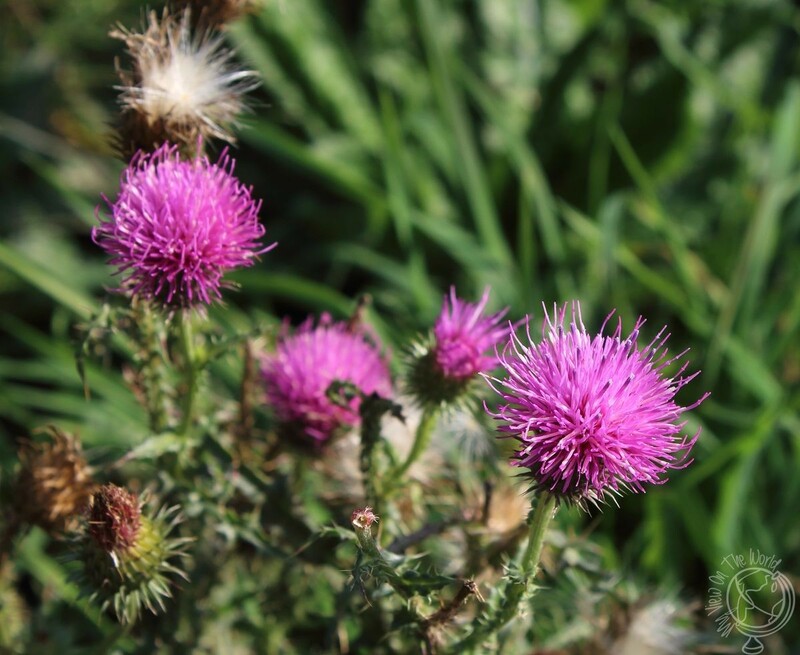 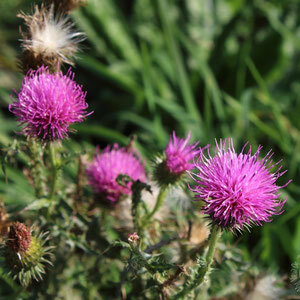 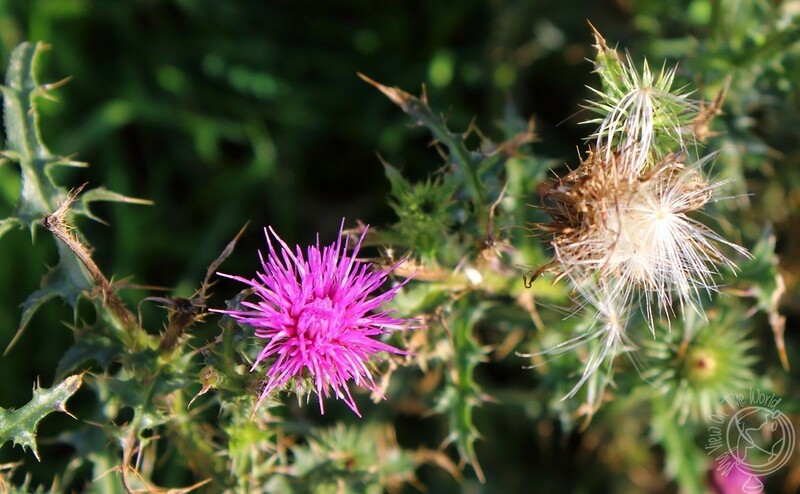 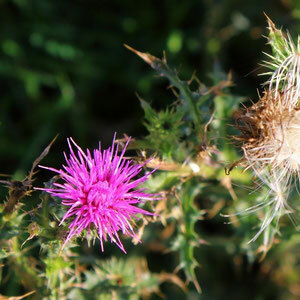 In the meadows around the lake there were still a few thistles in bloom. 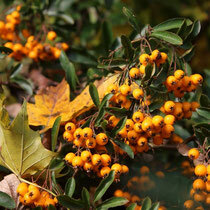 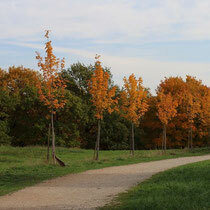 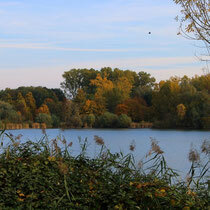 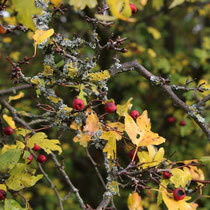 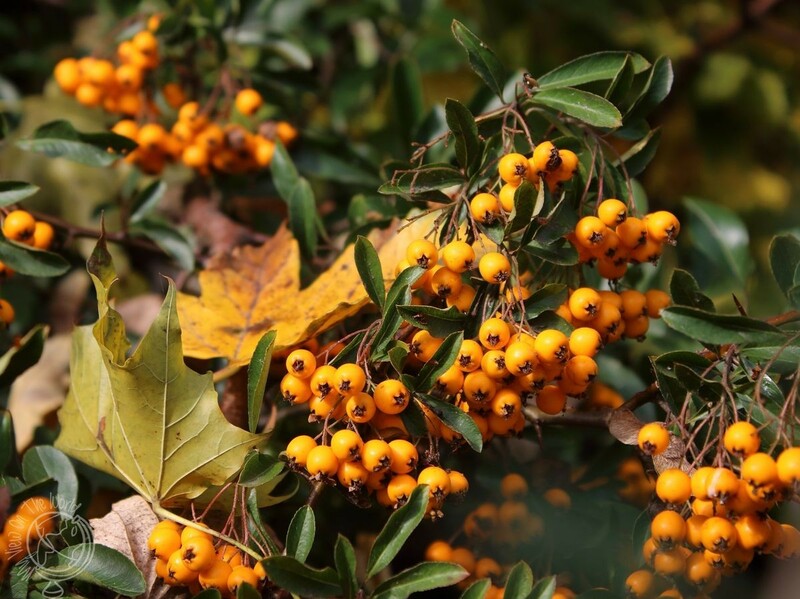 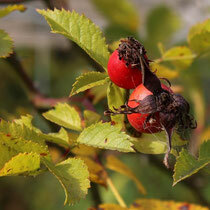 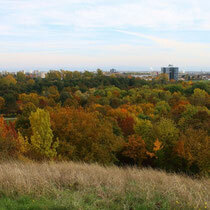 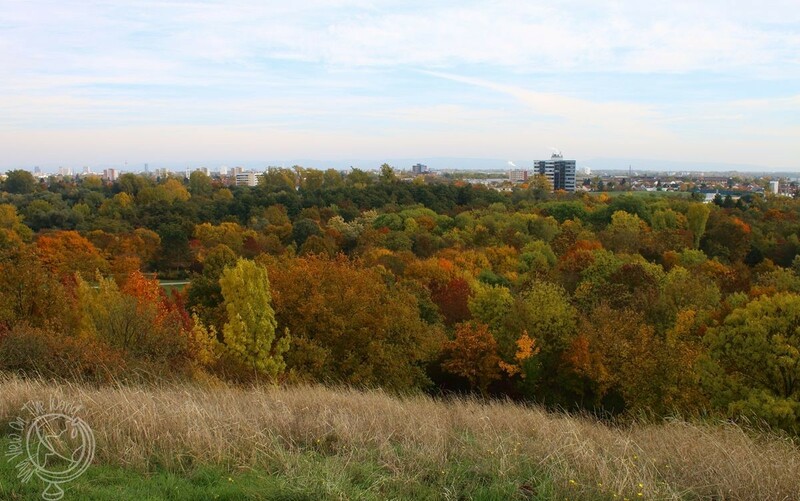 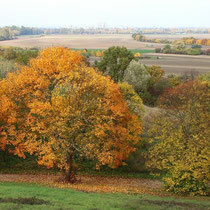 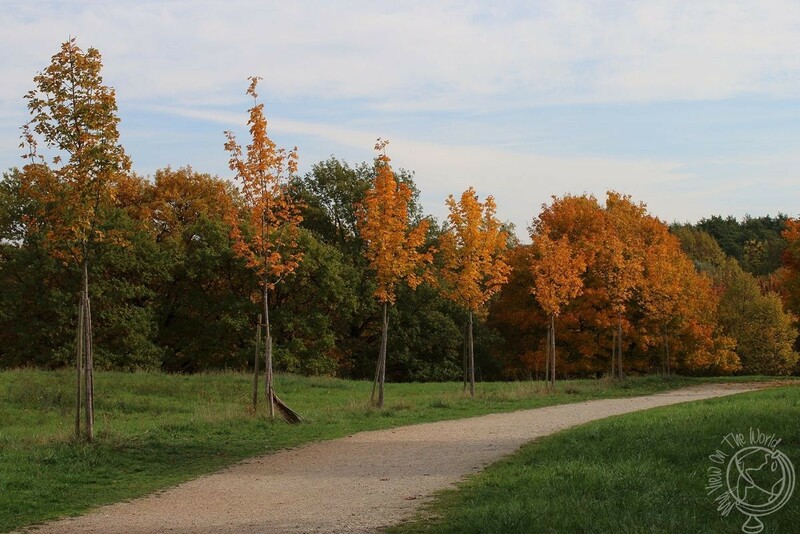 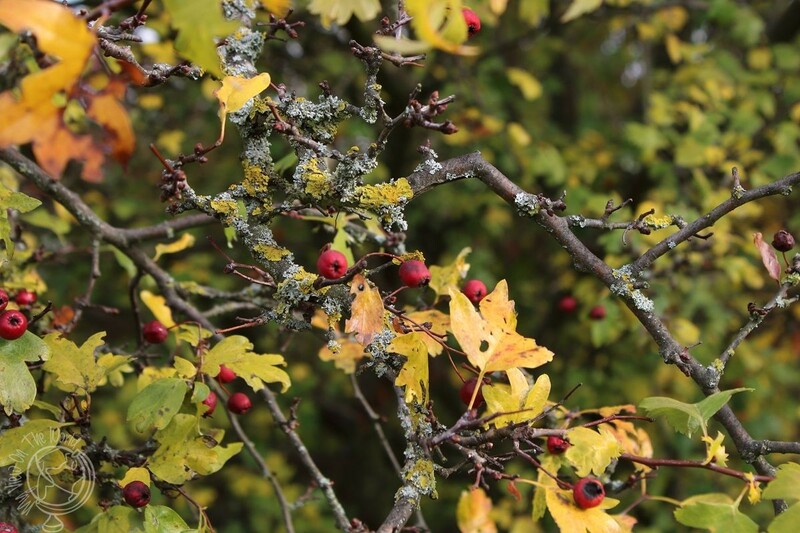 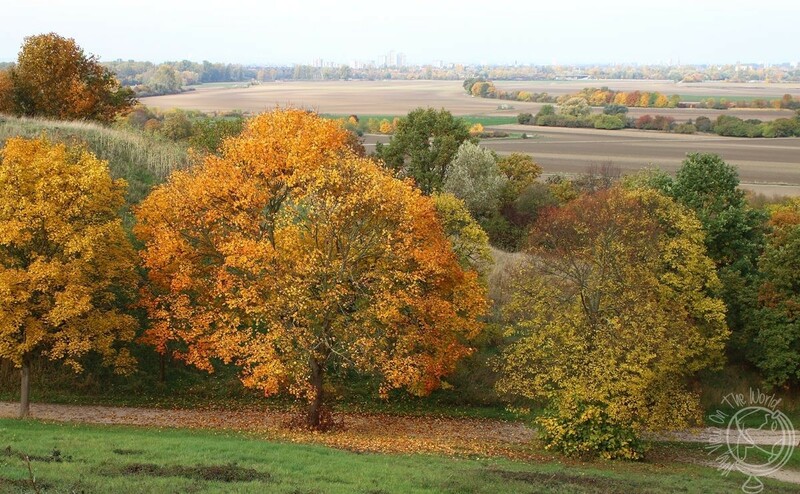 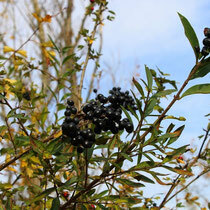 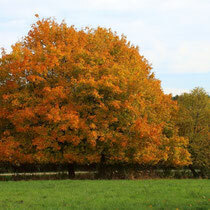 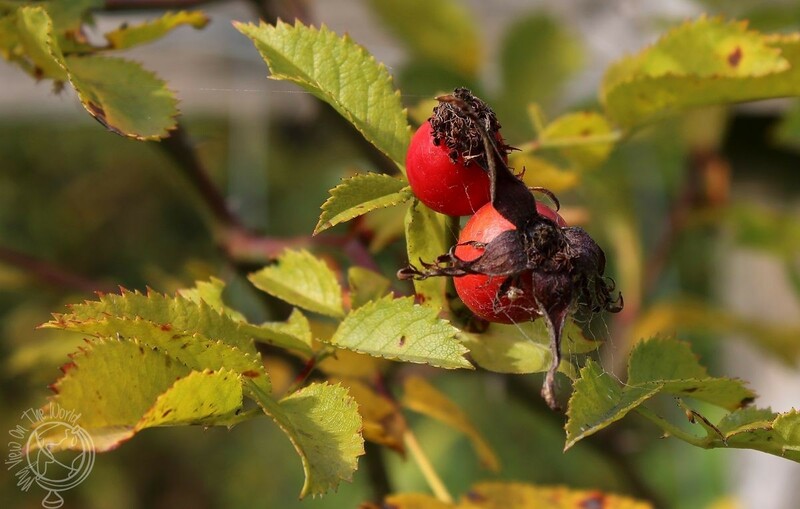 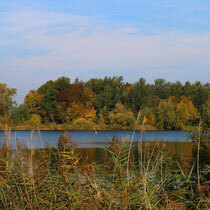 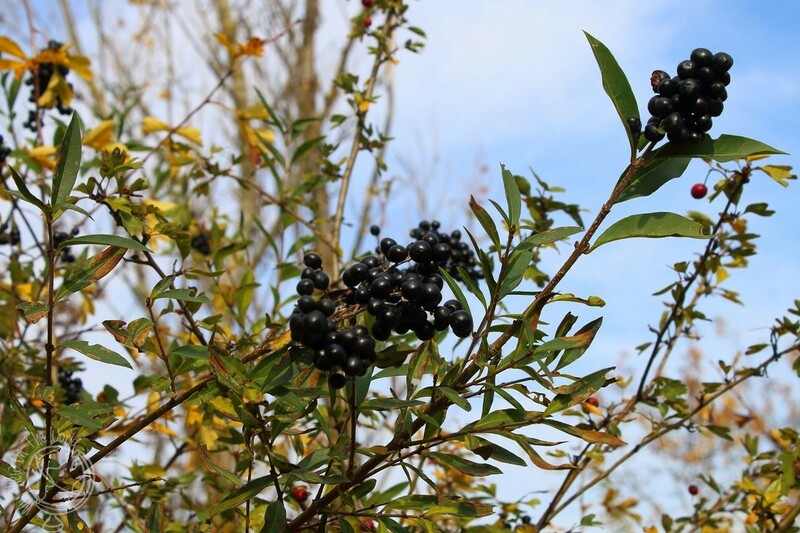 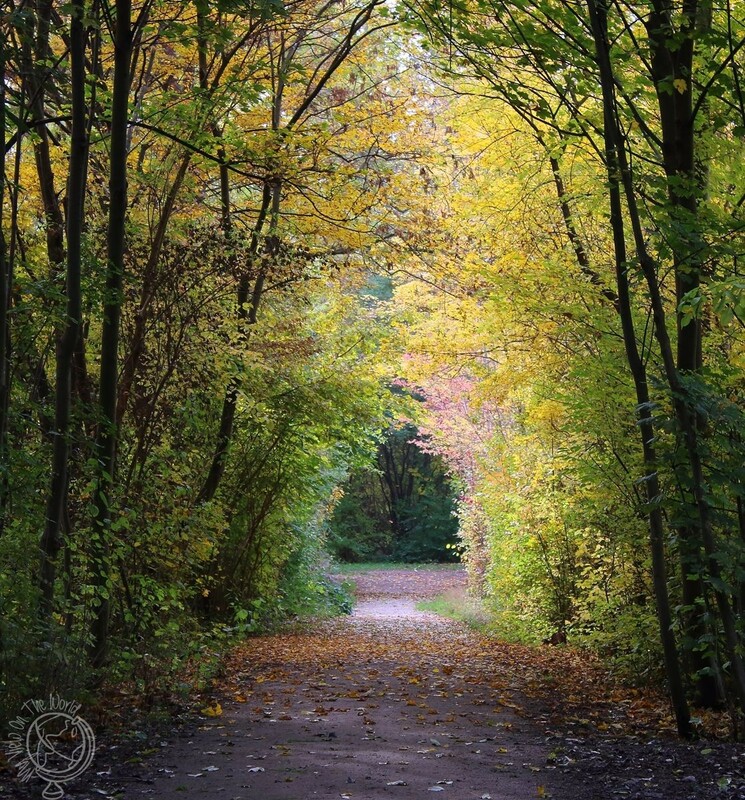 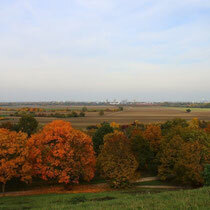 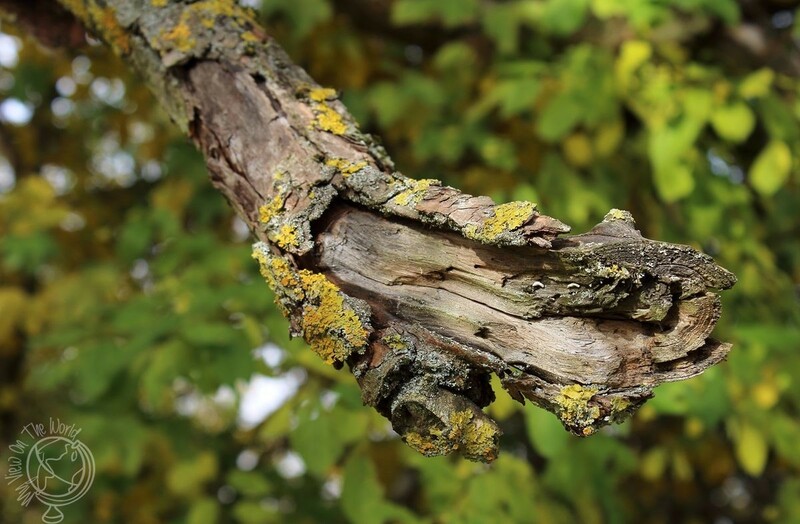 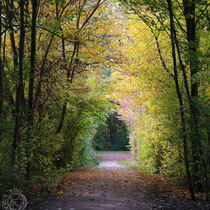 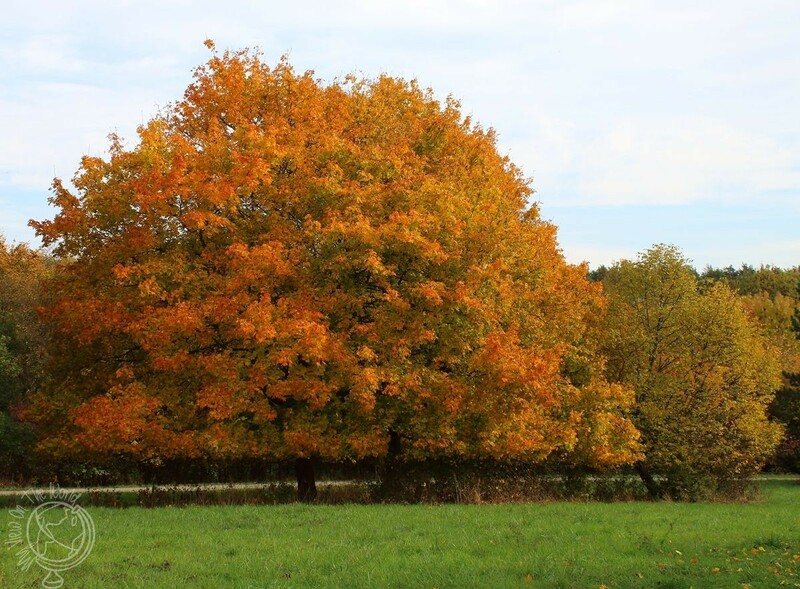 The colors of Fall can not only be found on the leafs but also in the trees and bushes. 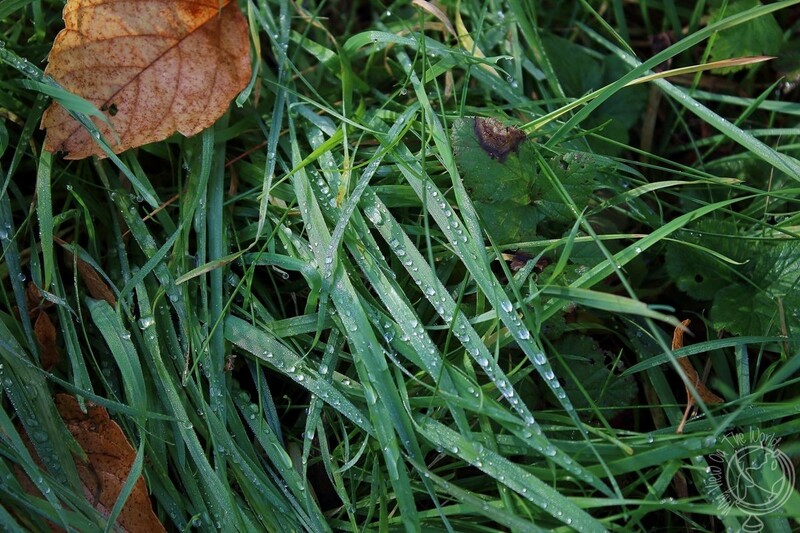 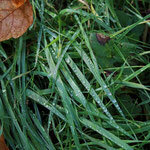 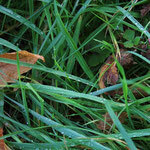 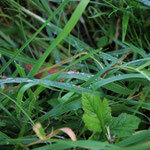 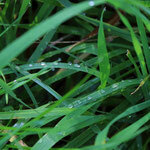 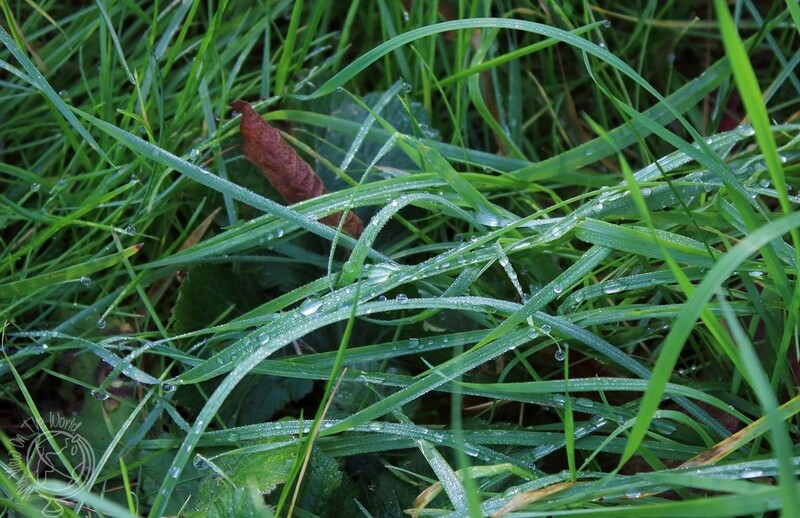 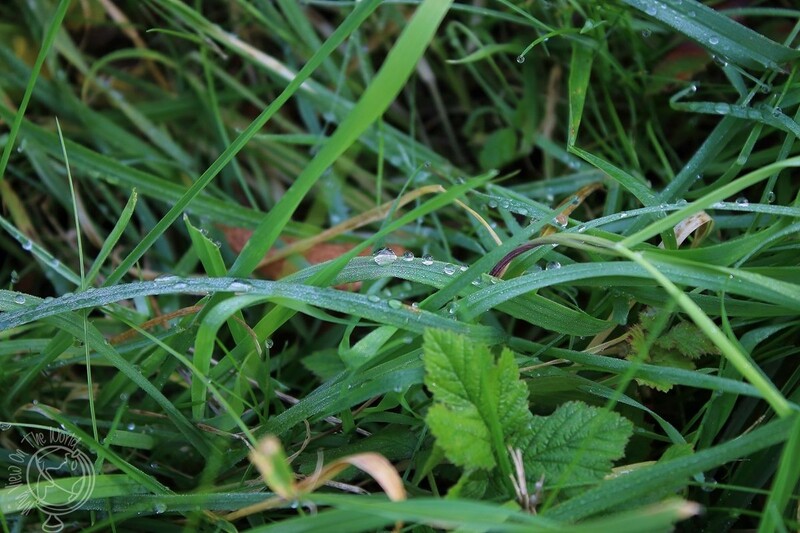 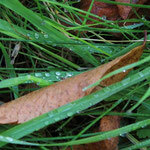 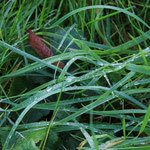 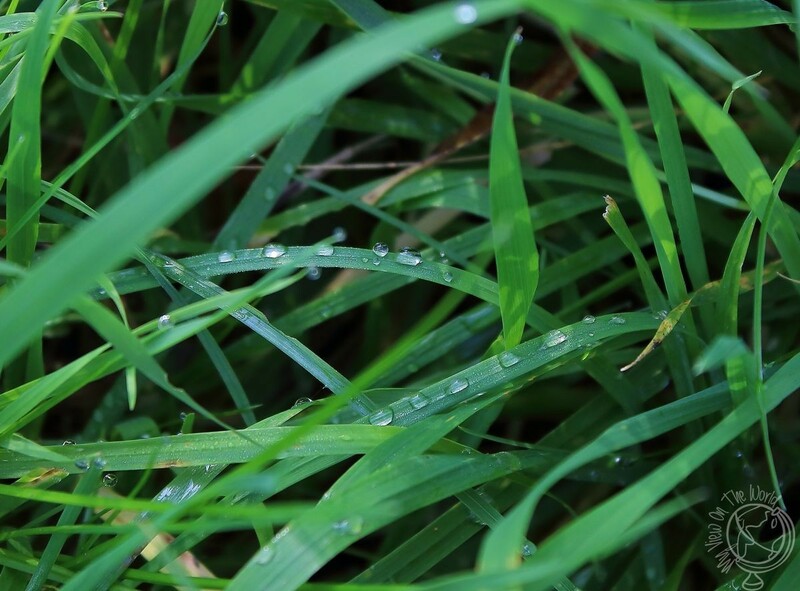 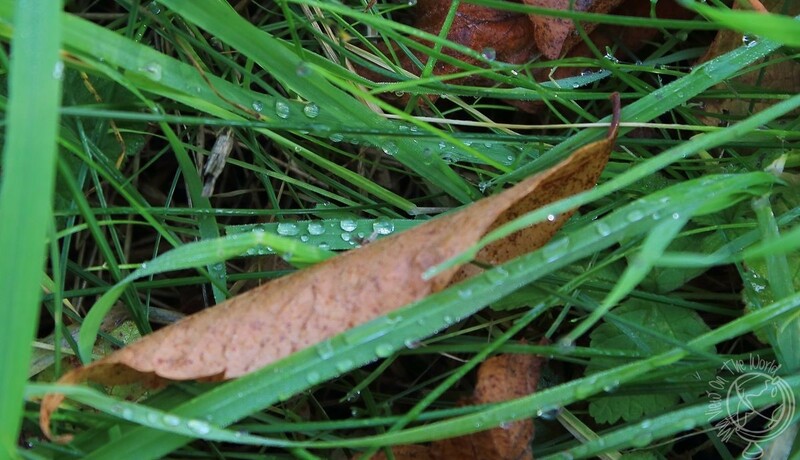 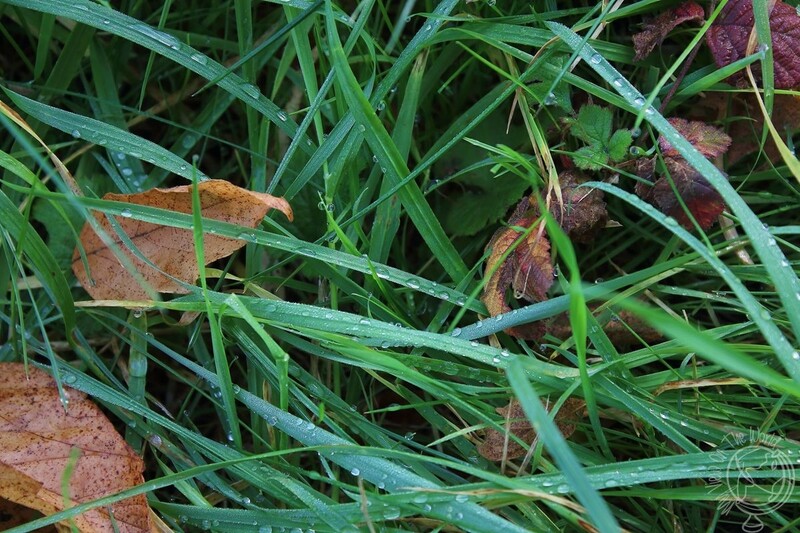 I am always amazed how delicate waterdrops in the grass look - a bit like lost diamonds.